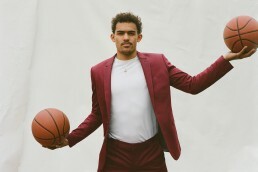 Standing 6-foot 2-inches tall, Trae Young might look like a somewhat average 19-year-old guy. Spot him on the court, however, and you’ll realize why he’s among the most in-demand young players in the game right now—the guy passes and scores like a legend in the making. Still, like any guy his age Young is dealing with the pressure to perform, the pressure to fit in and stand out at the same time, and the pressure to be bigger and badder than the guys that came before him. So how does he keep his head held high and in the game no matter what? 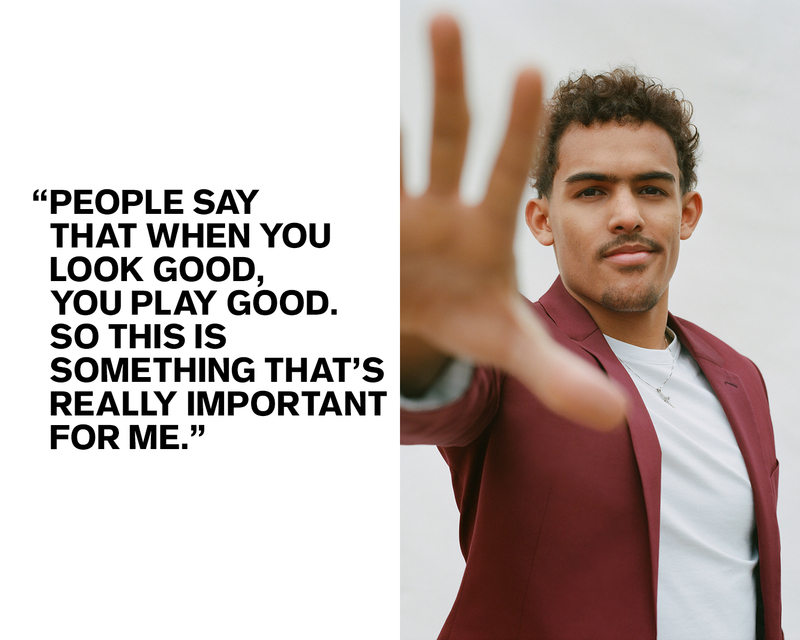 We caught up with Young at his first Express fitting to talk about the importance of family, of being yourself, and more. Check out what he had to say. I think it’s just the competitiveness. If you’re not competitive and you don’t show heart every time you go out there and play, it shows. The competition is what makes it fun for me. What’s your state of mind like going into this week? I’m excited. This has been a dream come true for me. Just to be here is a blessing. So I’m excited, and a little bit anxious and nervous. I want to know where I’m going, but I’m also trying to remember that this is all part of the experience and the journey. What song or hobby is helping you stay calm and positive right now? I’m a big family person so whenever I get to talk to my family, to spend time with my little brother and my sisters, that’s what keeps me cool and relaxed. Do you guys have group texts? Oh, definitely. We talk all the time. What some goals you have for yourself, either this year or your career in general? I want to be an NBA champion someday and ultimately that will help me achieve all of my individual goals. But first and foremost I want to win, I want to win it all. Whatever team I go to, that’s going to be my focus is to win the championship. What do you like to do when you aren’t playing basketball or getting fitted for suits at Express? I’m a very laid-back guy. I like to watch movies, play video games, and just spend time with my friends and family. How would you describe your personal style in two or three words? I grew up in the Oklahoma City area and we have one of the biggest fashion icons in the game, Russell Westbrook. He’s a big guy that I can look up to. What style tip or trick have you learned in the process of being fitted for a suit? I’ve learned that you’ve got to be yourself. Pick different colors or details and just be yourself. Let that roll. Now that you’re going to the next level of your career, how important is it to look pro? I think it’s a big factor. You have to look the part. People say that when you look good, you play good. So this is something that’s really important for me.